When I Was Your Man was written by Bruno Mars, Philip Lawrence, Ari Levine and Andrew Wyatt. 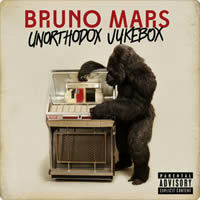 The song was recorded in 2011 with the release of the single on January 15th, 2013 from the album Unorthodox Jukebox. Em/B, Em/G - Em chord leading with the bass notes B and G respectively. "When I Was Your Man" chords and lyrics are provided for educational purposes and personal use only.